Has Jasleen Kaur Josan become the first Indian astronaut to join the 2030 Mars Mission? A tweet by Harsh Goenka, Chairman of RPG Enterprises made this claim on October 8 that has subsequently gone viral with more than 1700 retweets and 4800 likes. 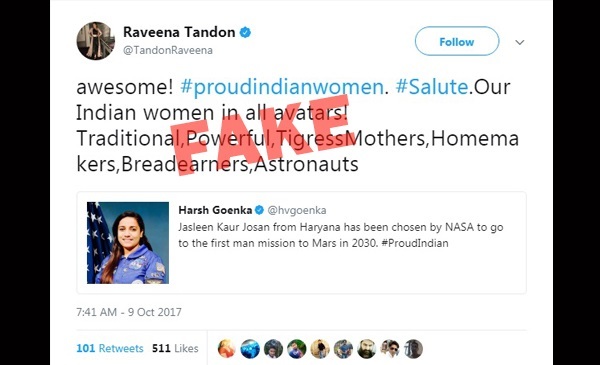 Actor Raveena Tandon also retweeted Goenka’s tweet calling it a proud moment for Indian women who straddle multiple roles. Fashion designer A D Singh and Shiromani Akali Dal MLA from Delhi Manjinder Sirsa projected the selection of Josan as a proud moment for Sikhs. Sirsa also took the opportunity to add his own picture in an image congratulating Jasleen Josan. 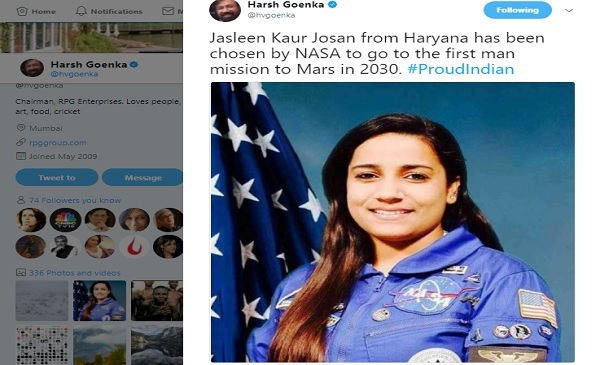 Not just Twitter, a slew of sites also jumped on this viral news to celebrate the first ‘Indian’, first ‘Indian woman’, first ‘Indian Sikh woman’ who will leave for Mars in 2030. 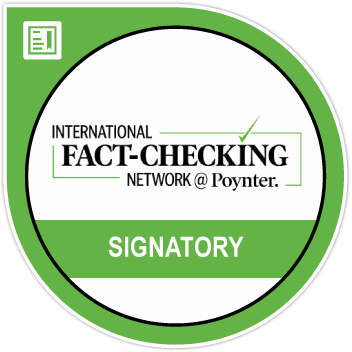 While Josan’s achievements till date are noteworthy, the news about her selection for the first Mars project in 2030 is fake. 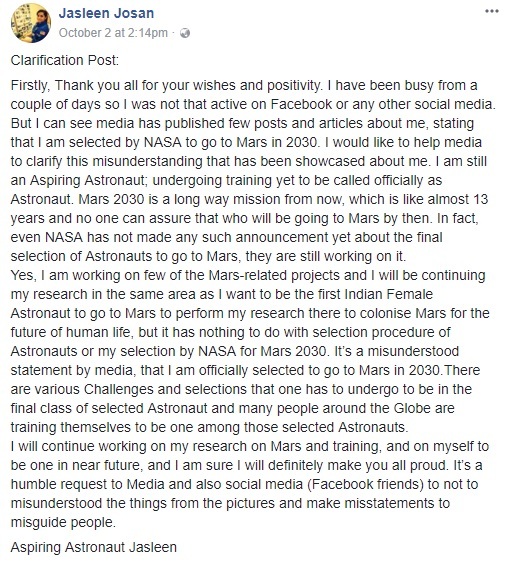 Calling herself an ‘Aspiring Astronaut’, the 25-year old Josan clarified in a Facebook post on October 2 that she is undergoing training to be officially called an ‘Astronaut’ and the 2030 Mars project is a long way for now with no assurance on who will finally join the project. With an aeronautical engineering from Satyabhama University in Tamil Nadu, Jasleen Josan is now pursuing her masters from the University of Alabama in Huntsville. It is not clear how this fake news about Jasleen Kaur’s selection spread on social media. 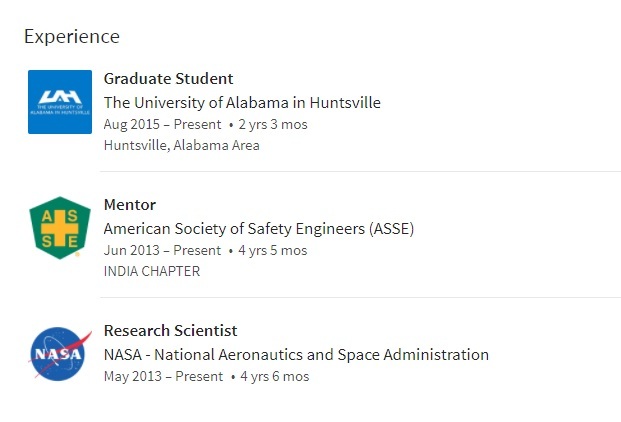 Jasleen’s own LinkedIn profile suggests that she is a ‘Research Scientist’ at NASA since 2013 though we did not find any mention of her name on any of the NASA projects or the website. 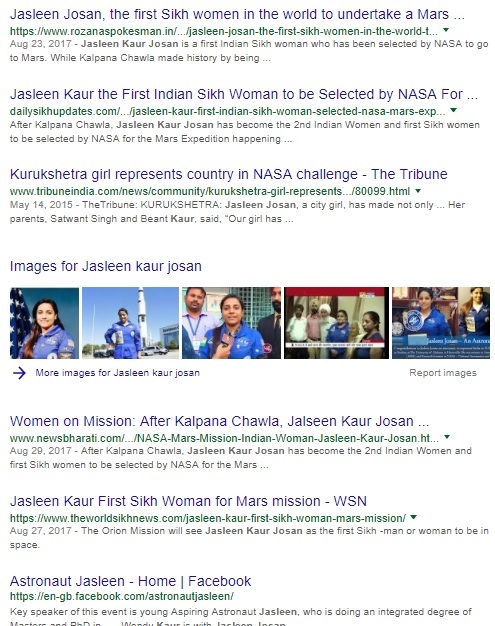 In some way, Jasleen’s own interviews to newspapers have also contributed to being projected as a scientist working with NASA. In this article that appeared in The Hindu on December 16, 2016, the reference to her being selected for the 2030 Mars project has been mentioned more than once. BOOM has not been able to independently verify Jasleen’s actual involvement with the Mars mission or NASA. We have written to NASA seeking clarification. We have also sought more clarity from Jasleen Josan and will update the story when we hear from them. We came across this YouTube link of her project in 2016 that features Jasleen with other students participating in the NASA Human Exploration Rover Challenge 2016. We spoke to Navdeep Singh, founder of the Tec Mantra Labs, a company that claims to have ‘heavily invested’ in Jasleen’s trip to the US. Singh confirmed that no announcement has been made as of now from NASA on the final team that will work on the Mars 2030 project. 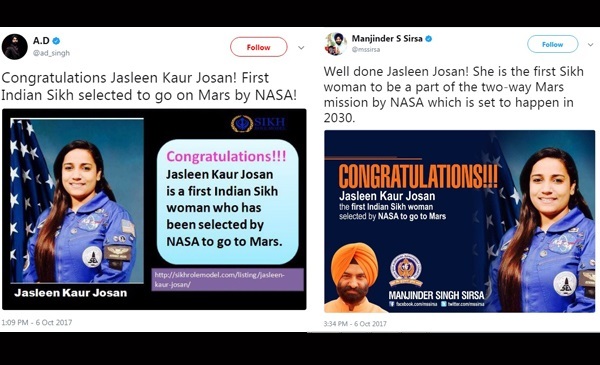 Singh pointed out that Jasleen competed with more than 6000 students from around the world and was selected to work on a project for the Mars mission. He sought two days time to explain the exact nature of Jasleen’s work with NASA and the involvement of Tec Mantra Labs with NASA projects.